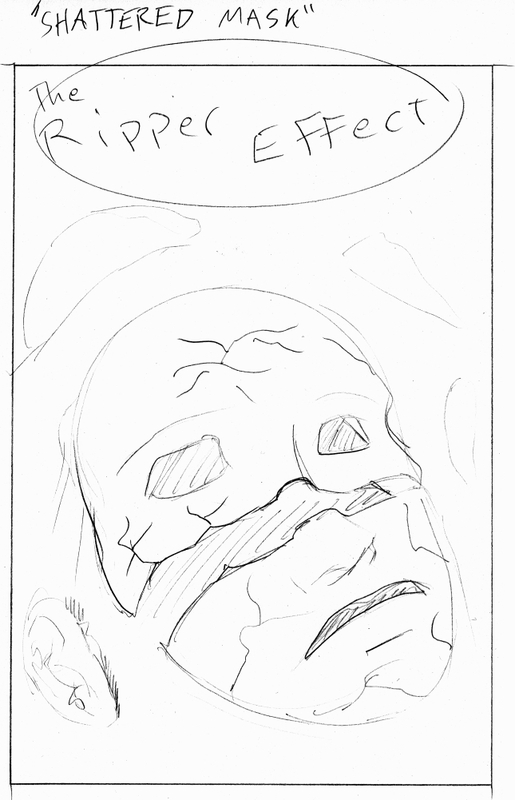 And today we have a last set of thumbnails from Issue No. 8! 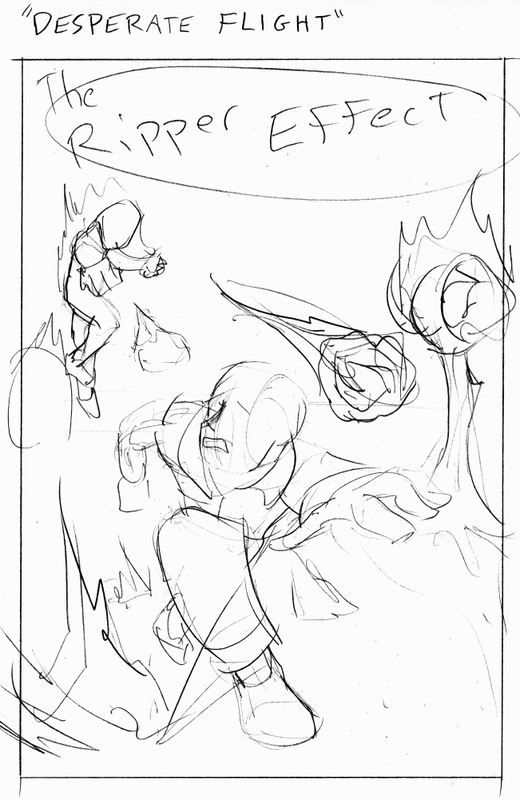 Hey look, it’s some thumbnails from Issue No. 8 plus some sketches I made when the thumbnails weren’t great. Sometimes art is messy. Today’s behind-the-scenes material is a look at the development of Tide’s character design. And today’s cliffhanger wraps up Issue No. 8! We’ll be back soon with some special features, but first, the all-important cover poll! Okay, we’ve got a few choices here. First up is Summoner Defeated! Yes, that’s Purple holding an unconscious Summoner by the collar. I might flip him over if this one gets picked, though. Next up – Shattered Mask! This would be Rosary’s face plate lying on the ground in multiple pieces. Ominous! Finally, we have Desperate Flight! This one has Summoner running toward the camera, but looking back over his shoulder. In the background, Purple is throwing fireballs at him; some of the fireballs are blasting into the ground near his feet. So, those are your choices! Given the time of year and the need to get a bit of a head start on upcoming comics, we’re going to leave the poll up for two weeks. You’ve got until Friday, January 4, 2019 at 5:00 p.m. PST to cast your vote! Which design should I use for the cover to Issue No. 8? We’ll be back soon for some special features and some new installments of Ask Dawn!